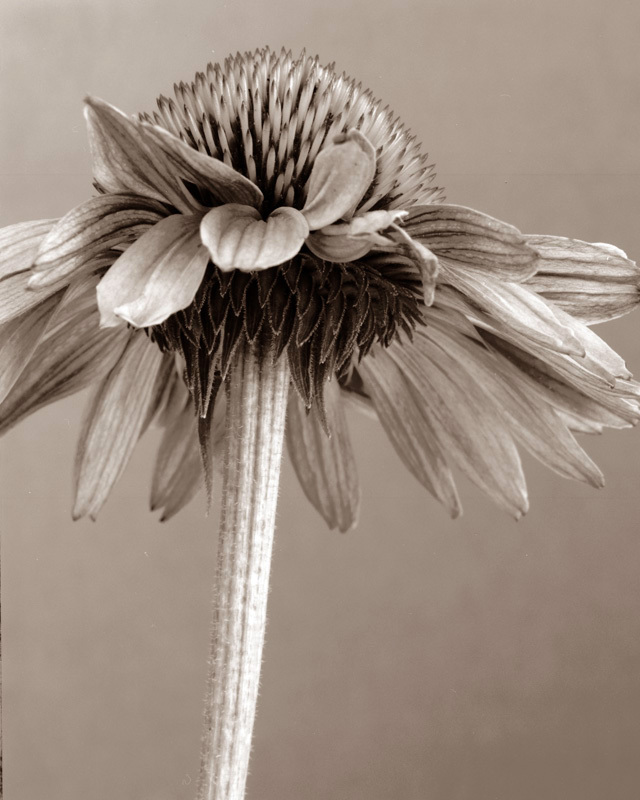 After viewing some of Charles Grogg’s photographs, I have come to the realization that the object that you are taking a picture of does not have to be perfect or beautiful, it is the way you choose to take the picture that makes it special. The two photographs above are taken of not necessarily fresh flowers and some of the pedals in both are dying. 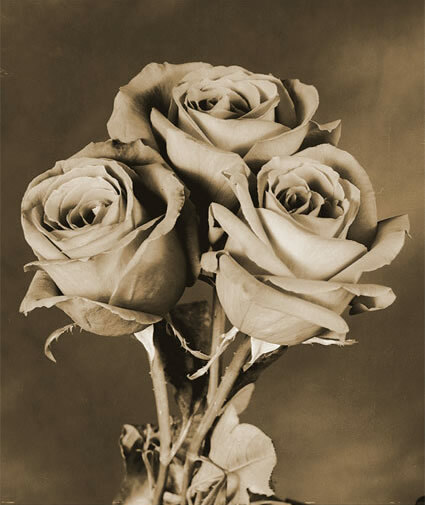 Charles Grogg photographs these flowers in a way that makes them beautiful by choosing the angle to photograph at and by making them black and white or sepia. Charles Grogg has inspired me to think about angles before taking a photo and to think about what colors would look best when I am photoshopping the image.